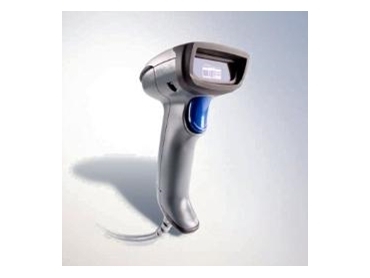 Available from Unique Micro Design , Intermec SR30 hand held bar code scanners provide point of services (POS) solutions in office, healthcare, light industrial and retail environments. The SR30 barcode scanner reduces fatigue with its comfortable lightweight design that is easy to hold, and evenly weighted. The Vista technology used in the scanner enables the user to process and scan items quickly, even if the print resolution is substandard or has been damaged. Easy to configure and personalise, the Intermec SR30 hand held barcode scanner includes auto sensing cables for fast and easy connection and supports data editing and UPOS and WePOS interfaces. The Intermec scanners include a 5 year return to base warranty.